IronPlate Online is an elite personal training and nutrition counseling service that allows you to take your personal trainer with you wherever you might go! You will work with a real personal trainer and nutrition coach via video chat, phone, email, and/or our in program messaging system. Your coach will provide you with guidance and education needed to improve your overall health and fitness goals. We have several packages available based on the amount of personalized support you may want or need from your coach. IronPlate Studios, with physical locations in Hoboken and Jersey City NJ, was founded by Kristin Reisinger to provide elite and private personal training and nutrition to her clients in a private and motivating setting. Kristin then partnered with Caitlin Harrington to create a third location, IronPlate Online, so they may continue to provide elite personal training and nutrition to clients at their convenience. 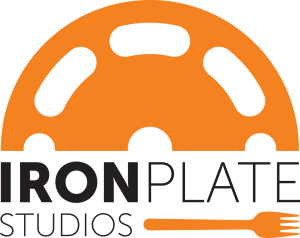 IronPlate Studios/Online specializes in strength and fitness, personal training, weight loss, physique development and transformation, sports nutrition, medical nutrition therapy and meal planning. At IronPlate Studios/Online, we believe that training and nutrition TOGETHER are the key to your health and fitness. If you fuel your body properly and train smart, you can be the best version of YOU there is. And we believe you can do this simply without gimmicks, fad diets and ineffective, unsustainable cleanses. As we always say - Eat Clean, Train Hard. There is no magic bullet. We are a team of Certified Personal Trainers, Registered Dietitians and Exercise Physiologists that all have a combined and varied background in sports, competition, academia and our own struggles with weight and fitness. Because of this we are able to offer a broad spectrum of services, education, and knowledge to our clients. Check us out at IronPlate Online or email us at Online@ironplatestudios.com for more information.